Even the simplest of life’s activities can build the most enduring memories. More important, in subtle ways they can offer lessons that stand a lifetime. When fully absorbed, these lessons can yield powerful results. In his book One Up On Wall Street, Fidelity’s superstar investor Peter Lynch explains how everyday investors can profit just by paying attention to the companies in their own backyard. Similarly, it is these same “backyard” (and sometime front yard) experiences of our youth that provide the lessons needed to reach the highest of heights in the business world. Much has been written of the proverbial lemonade stand and how it teaches budding entrepreneurs the meaning of business. 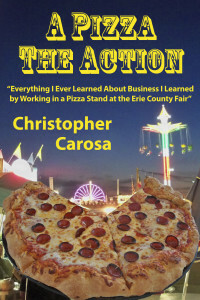 This book takes place in the real-life world of a small family-owned and operated pizza stand in one of America’s most popular and prosperous annual fairs – the Erie County Fair – and follows through the events that led a young adult to learn invaluable lessons that, in the future, would help him become a successful entrepreneur. 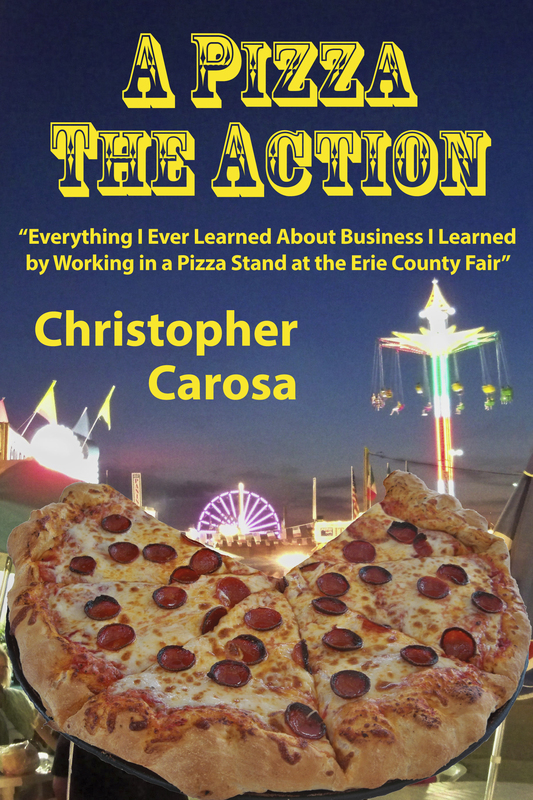 Chris Carosa takes a series of mundane, everyday events not unlike what many experienced growing up – if they grew up working in their grandparents’ pizza stand at the Erie County Fair! What’s amazing is he takes these vignettes of his life as a Carney and connects the dots to come up with more than a dozen general rules – told through 54 specific lessons – he’s followed in all his entrepreneurial ventures. Mr. Carosa tells these stories through the same conversational and, at times, self-effacing style his readers have become familiar with. And, Finally, Why You Must Always Think Outside the Pizza Box!